The Suite comprises of eight state of the art Medaphor ScanTrainer Ultrasound simulators, which enable student sonographers to gain vital experience in both trans-abdominal and trans-vaginal scanning using haptic technology and real full anatomy patient scans prior to entering into the clinical environment. 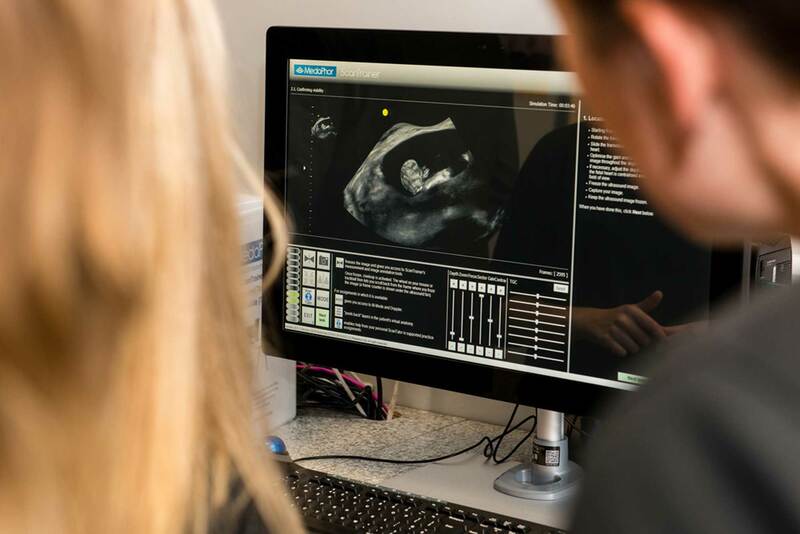 In September 2018 the University launched a new expanded Ultrasound Simulation Suite which was funded by Health Education East Midlands to support Ultrasound training across the East Midlands region. 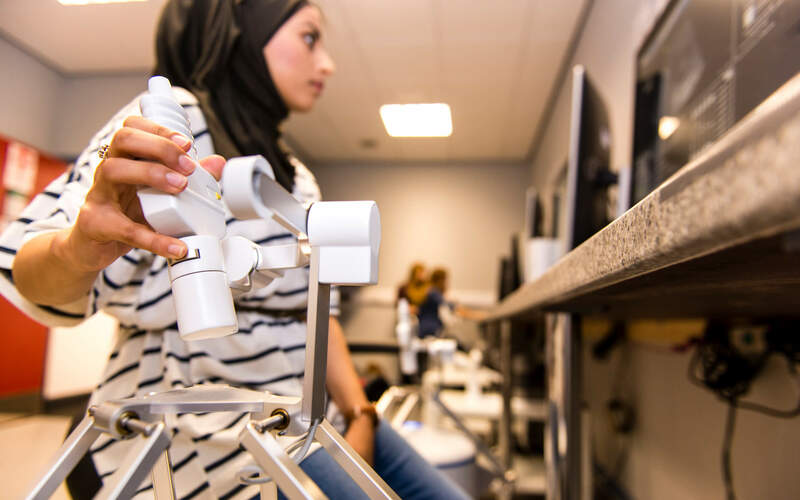 In addition, the University was the first in the world to be connected to the ScanTrainer cloud, an online case library of additional real patient scans which future enhances the student Sonographers experience of the simulation systems. 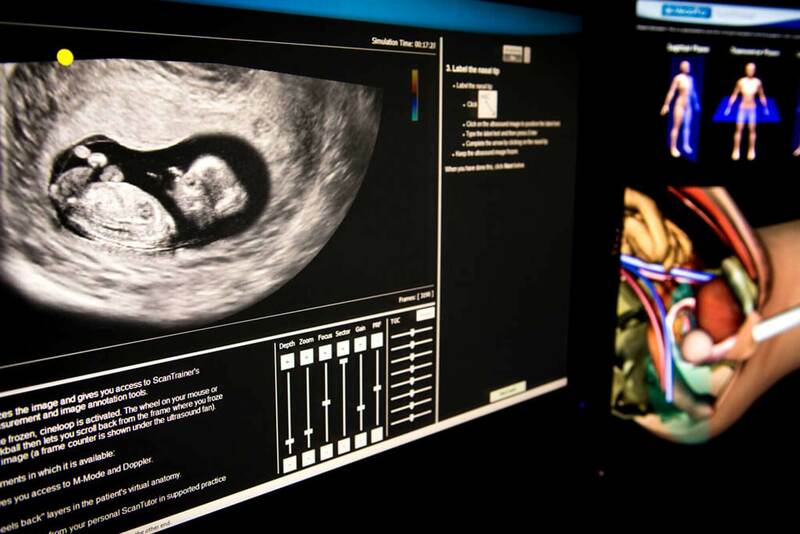 The expansion of the Simulation Suite compliments the University’s scan room consisting of two Ultrasound scanners.